UFO SIGHTINGS DAILY: Packers' Aaron Rodgers tells of New Jersey UFO sighting back in Feb 2005, UFO Sighting News. 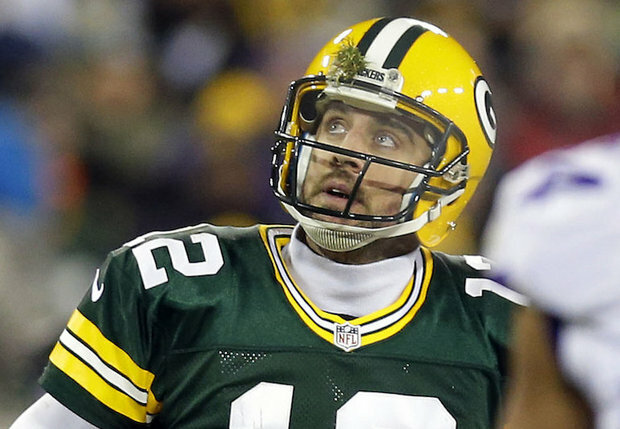 Packers' Aaron Rodgers tells of New Jersey UFO sighting back in Feb 2005, UFO Sighting News. I have to admire Aaron Rodgers for coming out and telling about his UFO sighting. He is a hero to many and this may help inspire others out there to come forward and telling of their sightings. This shows he has an inner strength that says that others do not dictate what he believers or knows. He knows the truth, he saw the truth and now he teaches the truth. An inspirational story from a sports great. Green Bay Packers quarterback Aaron Rodgers is a believer in extraterrestrial life, and nobody will be convince him otherwise. When you've looked up into the New Jersey sky on a snowy winter night and stared down a UFO, it stays with you forever. It's stayed with Rodgers since February 2005. A college senior at Cal at the time, Rodgers saw what appeared to be an UFO zipping through the sky around 12:30 a.m., then heard fighting jets in the area shortly thereafter. He's convinced it was something from outer space. More than a decade later, Rodgers shared his incredible story this week to Pete Holmes on the "You Made it Weird" podcast, (which is two hours long and includes some bad language). This definitely is weird. "I saw an unidentified flying object in the sky in New Jersey in 2005," Rodgers said. "Late at night. I was with a good friend of mine. There were multiple eyewitnesses." A native Californian, Rodgers was in New York to appear on ESPN's Cold Pizza two months before being picked 24th overall in the 2005 NFL Draft and afterward decided to meet up in New Jersey with a college teammate. His buddy was Steve Levy, who was a star quarterback at Don Bosco Prep quarterback in Ramsey, N.J., before backing up Rodgers at Cal. "I had the (show) early in the morning in New York City .... and was going to spend the night (in New Jersey) with (Levy)," Rodgers said. "So I went to his folks house and had this great Italian dinner. They're a big Italian family. So it's eight courses. It started at 8 (at night) and ends at midnight. So we're winding down there and there was a weird siren in the distance." Levy, his brother and Rodgers went outside to check out the noise, which was an alarm coming from a power plant several miles away. They all looked up in the sky, and there it was. "It was one of those kind of bright nights where it's overcast, but there's enough light from the moon kind of reflecting off the clouds," Rodgers recalled. "The next thing we know, we saw something in the sky." Rodgers described what he saw as something similar to a scene from the movie Independence Day when a jet crashes into an alien spaceship. "It was like that in a sense that it was a large orange left-to-right-moving object," Rodgers said. "Because of the overcast nature of the night and the snow, (the UFO) was kind of behind the clouds we were seeing, but it was definitively large in the night sky moving from left to right. ... And it goes out of sight and we look at each other and go 'What in the (bleep) was that?'" Rodgers stood there in disbelief for 30 seconds or so, then heard loud the whooshing sounds of several fighter jets speeding through the sky right where the UFO had just been. "It felt like five minutes, but at the time we were kind of in shock," Rodgers said. "Then we hear the definitive sound of ... Anybody who's been to a flyover or been to an airshow or just seen Top Gun, you know the sound that a fighter jet makes as it goes by. And there were about four of those." Right away, he was sure what they'd witnessed. "Now if you know anything about UFO sightings or if you've done research you know that a lot of times two things are connected to UFO sightings," Rodgers said. "One is the presence of fighter jets ... to chase them down or find out what's going on. And two is there's a lot of sightings around nuclear power plants. So to tie to it all together, the alarm we heard was from a nuclear power plant that was 30 miles out." Rodgers said they heard the power plant alarm sound again an hour later that night. Everyone ran back outside to see if the UFO had returned. "Nothing else showed up," he said. The group later looked to see if anything was in the newspapers or on the news over the next few days.